New renders posted by renowned leaker Evan Blass (@evleaks) on Twitter all but confirm the LG G8 ThinQ's design. These renders match those posted on the XDA Developers forum last month. Sadly, that means the G8 ThinQ will look almost identical to the G7 ThinQ. At least it still has a headphone jack. 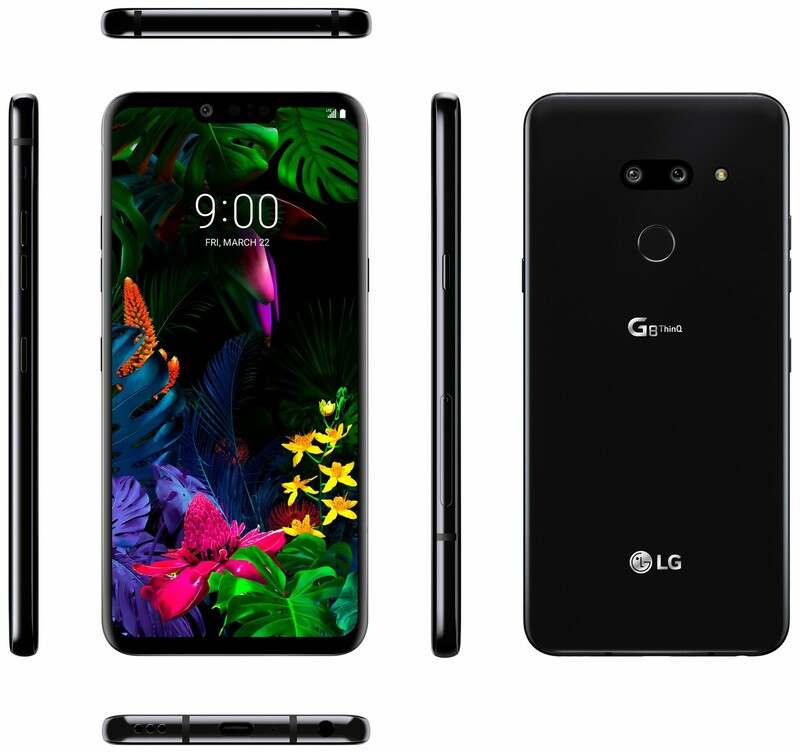 Noted smartphone leaker Evan Blass (@evleaks on Twitter) has posted leaked renders of LG’s upcoming G8 ThinQ. The renders almost match those posted by XDA Developers last month, essentially confirming the new smartphone’s design weeks before its official debut. 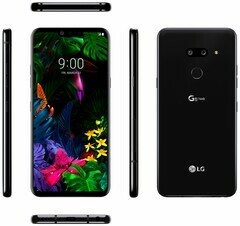 LG is expected to unveil the G8 ThinQ at Mobile World Congress (MWC) in Barcelona at the end of this month. Sadly, it looks like many enthusiasts won’t be surprised. For one, the leaks from Blass are likely legitimate, given his track record. Additionally, the design doesn’t vary much from the G7 ThinQ. The notch is still present, as is the rear-mounted fingerprint sense and the side buttons. Thankfully, the headphone jack also looks to be intact, making the G8 ThinQ one of the few flagships to retain the port. The primary difference between the G7 ThinQ and G8 ThinQ (at least externally) is the orientation of the rear-facing cameras. The G8 ThinQ will shift the dual shooters to a horizontal line rather than the G7 ThinQ’s vertical positioning. Interestingly, the G8 ThinQ doesn’t seem to have an earpiece anywhere on the front. In the leaked renders, the notch only holds three cameras, likely for LG’s face unlock system. The lack of a speaker on the front of the phone lends some credence to the rumor that the G8 ThinQ will use the glass panel to transmit sound to the user’s ear. While you should take these leaks with a grain of small, it can probably be a small one. Blass is renowned for his accuracy when it comes to leaks, and confirming these renders almost perfectly match those posted last month, we should have a pretty good idea of what the G8 ThinQ will look like (if this isn’t actually the phone itself).